White spot lesions (WSL) are an early sign of enamel decalcification and are a common adverse effect of orthodontic treatment. A number of treatment approached have been suggested for their management topical remineralizing agents microabrasion, bleaching and resin infiltration. Resin infiltration is based on the hydrochloric acid erosion of the lesion surface and posterior infiltration of a low-viscosity resin into the intercrystaline spaces of hypocalcified or demineralised enamel. Searches were conducted in the Medline, Scopus, Web of Science, Latin American and Caribbean Health Sciences Literature database (LILACS), Brazilian Library in Dentistry (BBO), Cochrane Library, System for Information on Grey literature in Europe, ProQuest Dissertations and Theses , Periodicos Capes Theses, clinicaltrials.gov and IADR abstracts databases with date or language restrictions. Non-randomised study designs (before and after clinical condition comparison) and randomised clinical trials (RCT) that evaluated the masking effect of discoloured enamel using resin infiltration were considered. Two reviewers independently selected studies, abstracted data and assessed risk of bias. Non-randomised studies were assessed using the methodological index for non-randomized studies (MINORS) scale and RCTs using the Cochrane risk of bias tool. Owing to the heterogeneity of the evaluation methods meta-analysis was not carried out. 11 studies (7 RCTs, 4 non-randomised) were included. 676 teeth in 277 patients were treated. Patient age ranged from 6-27 years. None of the RCTs were considered to be at low risk of bias. One of the non-randomised studies was considered to be of high quality. The total masking effect for development defect of enamel (DDE) and WSL/ PO was reported as 25%/61%, respectively, and partial masking as 35%/33%, respectively. 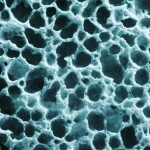 resin infiltration technique seems to be a feasible option for colour masking of enamel whitish discolorations, resulting both from white spot lesions and enamel development defects. Nevertheless, there is no strong evidence supporting the clinical recommendation of the technique. Further long-term randomized controlled trials, with a larger sample size and longer follow-up time should be approached to increase this evidence. A broad search strategy has been adopted for this review and the no language limitations were placed so most of the relevant available studies should have been identified. Only 7 of the 11 included studies were RCTs and these were small and either of unclear or high risk of bias. So while the available evidence demonstrated some improvement in DDE and WSL using this technique the quality of the evidence is limited so the findings should be treated with caution. An previous review by Sonesson et al (Dental Elf – 12th Apr 2016) looked at management approaches for WSLs including just two studies on resin infiltration again noting that the evidence was inconclusive. The resin infiltration technique was originally described in the 1970’s so given the interest in managing DDE and WSL it is disappointing that high quality RCTs have not been conducted. New trials should also seek to use common outcome measures to improve comparability as in the studied included in this review follow up times and outcome assessment approaches also differed. Borges AB, Caneppele TM, Masterson D, Maia LC. Is resin infiltration an effective esthetic treatment for enamel development defects and white spot lesions? A systematic review. J Dent. 2016 Oct 25. pii: S0300-5712(16)30212-3. doi:10.1016/j.jdent.2016.10.010. [Epub ahead of print] Review. PubMed PMID: 27793705.